It’s been a crazy week, both for me personally, and for the nation at large. I’ve almost forgotten what it’s like to go outside and not see smoke. To not worry about my family and friends out there, whose homes are in danger, and who are fighting these fires. I’m saddened to wake up every day and hear more about violence on TV. I’ve gotten to the point where, lately, I rarely watch TV because I just don’t want to know. 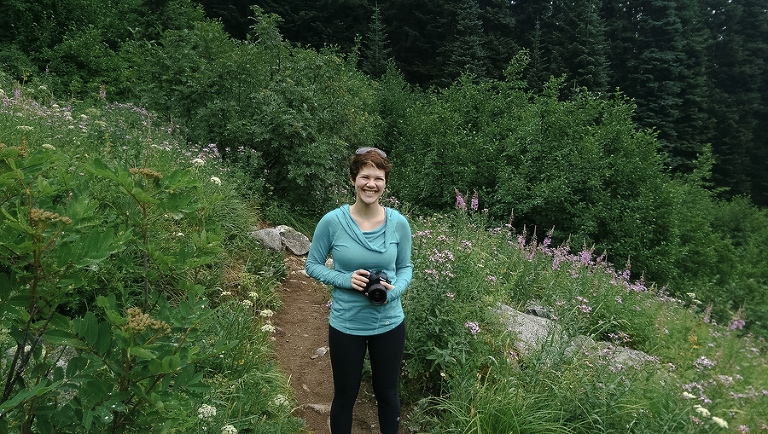 The rest of the photos of our adventures hiking in the North Cascades will be up next week, but I had to share this photo H took of me. I’m totally in my element here, surrounded by nature and holding a camera. On a hike that I might not get to do next year because the whole area is on fire. It’s been a rough summer, you guys.